In the devastating wake of Hurricane Maria, Puerto Rico lost 80 percent of its coffee trees, crippling an important sector of its economy. Now TechnoServe and its partners are teaming up to help rebuild the island’s coffee industry and support thousands of farmers. In September 2017, Hurricanes Irma and Maria wreaked havoc on Puerto Rico. Coffee farmers like Vanessa Arroyo Sánchez were among the millions whose livelihoods were shattered. The hurricanes wiped out 80 percent of the coffee trees on the island, resulting in a loss of $85 million for coffee farmers and crippling an important economic engine for Puerto Rico. 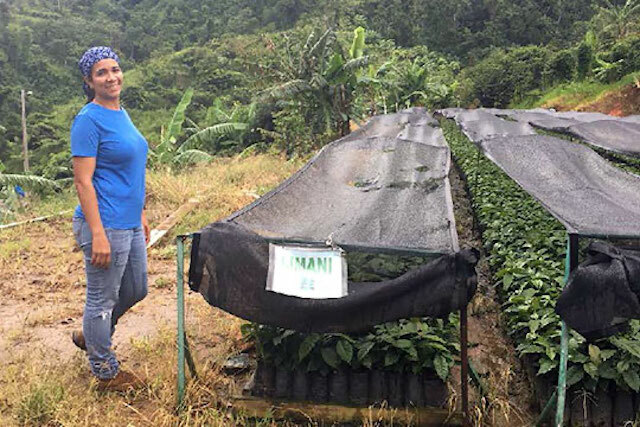 Vanessa and her husband, Miguel Ángel Torres Díaz, bought their farm in Jayuya, one of the main coffee growing municipalities in Puerto Rico, from her father’s family, carrying on a coffee-farming tradition that went back several generations. The couple trained themselves and worked hard for nine years, planting 18 hectares of coffee and running a coffee seedling nursery. Then Hurricane Maria struck and wiped out half of their coffee acreage. Today, the couple gave a tour of their gradually recovering farm to some special guests. Broadway star and composer Lin-Manuel Miranda, his father Luis Miranda, and leaders from TechnoServe, Nespresso, Hispanic Federation, and other partners, traveled to Jayuya to announce a new initiative that will help Vanessa, Miguel, and thousands of other farmers rebuild their farms and grow a stronger coffee sector. Vanessa Arroyo is growing seedlings to rebuild her coffee farm after the devastation of Hurricane Maria last year. The five-year, multimillion-dollar project aims to increase the long-term resilience and economic performance of the sector by bringing together a holistic support model, led by Puerto Ricans. Funding commitments for the initiative have been made by Hispanic Federation, Nespresso, The Rockefeller Foundation, Starbucks Foundation, and individual donors. “My family and I love coffee. Coffee has been a part of Puerto Rico’s rich culture and heritage for generations. 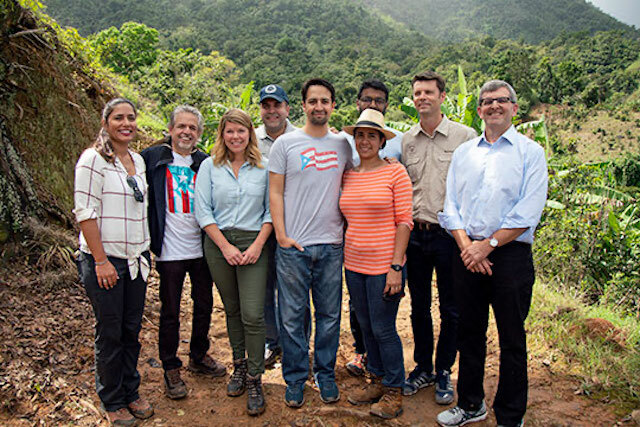 I’m thrilled that my family, with the Hispanic Federation, have been able to help create such an important initiative that supports small farmers across the Island,” said Lin-Manuel Miranda. TechnoServe will lead implementation and train thousands of smallholder coffee farmers to significantly increase their yields and help them access better farming supplies, financing, and markets. 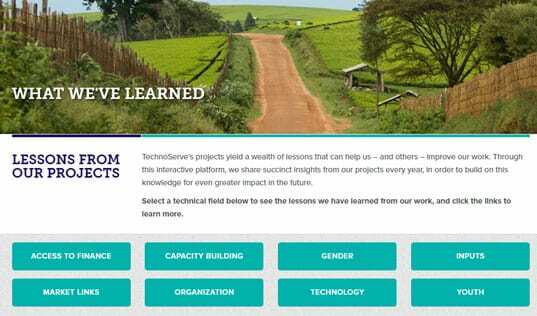 Leveraging its proven Farm College training program, TechnoServe will train farmers on climate-smart agronomic and business practices that we’ve used around the world. 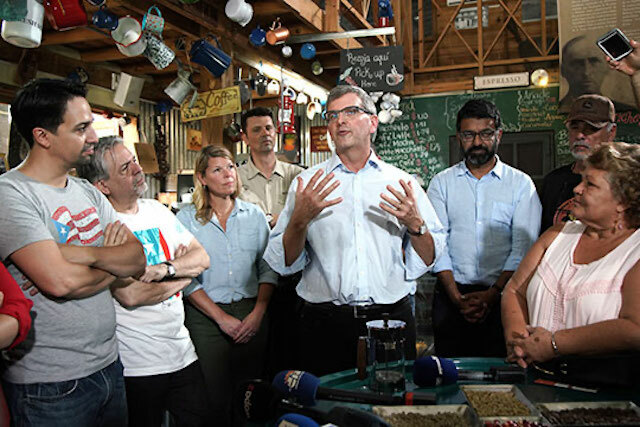 “This is an approach that means business – working directly with farmers and across sectors to restore so many livelihoods devastated by the hurricane,” said William Warshauer, President and CEO of TechnoServe. “We are looking forward to working with our partners and the resilient farmers of Puerto Rico to rebuild the coffee sector even better than it was before." A key part of reviving the coffee sector involves diversifying and improving the quality of coffee seeds. 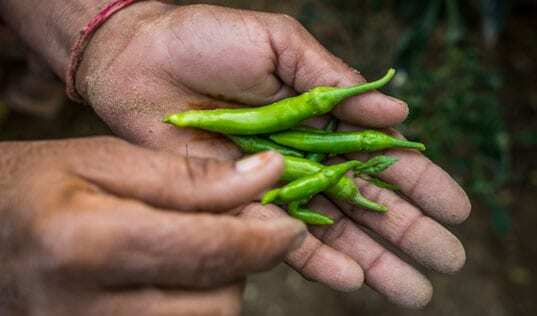 Starbucks is donating 2 million seeds of the climate-resilient Marsellesa varietal, and partnering with World Coffee Research to create a sustainable seed market. The initiative will also rebuild capacity in nurseries and establish market linkages for farmers. Through these multifaceted efforts, Puerto Rico’s coffee farmers will be able to substantially improve their incomes, and help lead Puerto Rico forward into a more hopeful future.